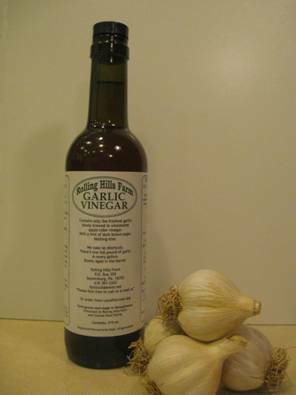 Rolling Hills Farm Garlic Vinegar contains only the freshest garlic slowly brewed in wholesome apple cider vinegar. With a hint of dark sugar. Nothing else. We take no shortcuts. Theres one full pound of garlic in every gallon. Slowly aged in the barrel. slowly brewed in wholesome apple cider vinegar. 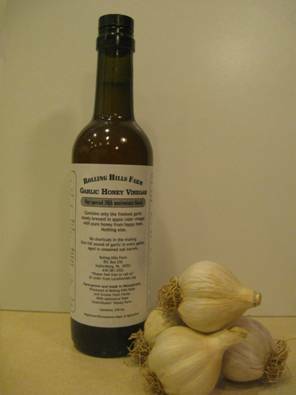 With pure honey from happy bees nothing else.